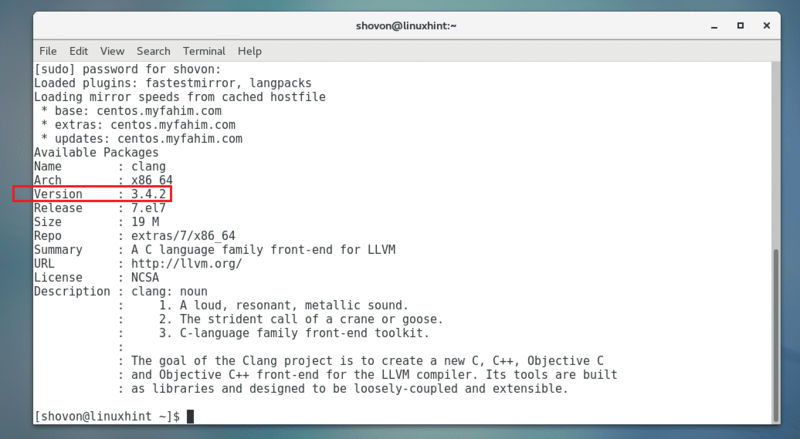 Like GCC, LLVM is a C/C++ compiler toolset. 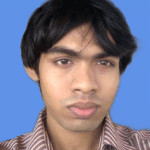 LLVM can compile C, C++ and Objective-C programs. LLVM Clang can compile C and C++ codes faster than GCC. A very memory efficient debugger LLDB is available in LLVM. LLDB is very fast at loading symbols compared to GCC. LLVM support C++11, C++14 and C++17 through libc++ and libc++ ABI projects. It’s cross platform. LLVM is available on Linux, Windows and Mac OS X. In this article, I will show you how to install and use LLVM Clang on CentOS 7. Let’s get started. Before you install LLVM Clang, you should install the C and C++ libraries. Otherwise, you won’t be able to compile C and C++ programs. The easiest way to install C and C++ libraries for LLVM Clang is to install gcc and g++ on CentOS 7.
gcc and g++ should be installed. LLVM Clang version 3.4.2 is available on CentOS 7 operating system in the extras repository as you can see in the screenshot below. To install the extras repository version of LLVM Clang on CentOS 7, first you have to enable the extras repository on CentOS 7. It should be enabled by default on CentOS 7, but in case you don’t have it enabled, I will show you how to enable it. If you have extras repository enabled, it should be listed as you can see in the marked section of the screenshot below. In that case, you can skip ahead a little bit. Otherwise follow along. LLVM Clang should be installed. As you can see from the screenshot below, LLVM Clang 3.4.2 was installed correctly. In this section I will write a simple C and C++ program and compile it with LLVM Clang to show you how it works. NOTE: Here hello.c is the source code file, and hello after the -o option is the output file. hello will be the generated executable binary after the compilation process is completed. Once you compile hello.c, you should find a new binary file hello in the same directory as the hello.c source file as you can see in the screenshot below. As you can see, ‘It works for C!’ is printed on the screen. So we are able to compile C programs with LLVM Clang. NOTE: Here world.cpp is the source code file, and world after the -o option is the output file. world will be the generated executable binary after the compilation process is completed. Once you compile world.cpp, you should find a new binary file world in the same directory as world.cpp file as you can see in the screenshot below. As you can see, ‘It works for C++!’ is printed on the screen. So we are able to compile C++ programs with LLVM Clang. That’s how you install and use LLVM Clang on CentOS 7. Thanks for reading this article.